To find maps, traveler tips, other places to visit, and other tourist information, use the Brighton sightseeing planner. Melbourne to Brighton is an approximately half hour car ride. In April, daytime highs in Brighton are 23°C, while nighttime lows are 12°C. Wrap up your sightseeing on the 28th (Sun) to allow time to travel to Melbourne. Your day-by-day itinerary now includes Balloon Rides as well as Ocean Road Tours. The adventure continues: brush up on your military savvy at Shrine of Remembrance. To find out how to plan a trip to Melbourne, use our trip itinerary maker. Melbourne is very close to Brighton. In April in Melbourne, expect temperatures between 23°C during the day and 11°C at night. 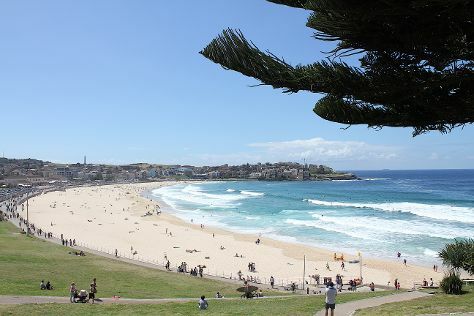 Finish your sightseeing early on the 30th (Tue) so you can travel to Sydney. On the 1st (Wed), take in nature's colorful creations at Royal Botanic Garden Sydney, then kick back and relax at Bondi Beach, then hike along The Opera House to the Botanic Gardens Walk, and finally wander the streets of The Rocks. On your second day here, make a trip to Mrs Macquarie's Chair and then take a stroll through Darling Harbour. To see ratings, traveler tips, other places to visit, and other tourist information, refer to the Sydney trip itinerary tool . You can fly from Melbourne to Sydney in 3.5 hours. Other options are to do a combination of shuttle and flight; or drive. Traveling from Melbourne in April, plan for somewhat warmer nights in Sydney, with lows around 17°C. Wrap up your sightseeing by early afternoon on the 2nd (Thu) to allow time for travel to Launceston. Kids will appreciate attractions like Cataract Gorge Reserve and Tasmazia & The Village of Lower Crackpot. 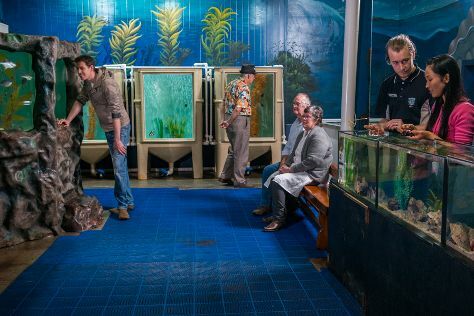 Change things up with these side-trips from Launceston: Beaconsfield Mine & Heritage Centre (in Beaconsfield), King George V Park Mosaic Pathway (in Sheffield) and Beauty Point (Platypus House & Seahorse World). There's much more to do: walk around City Park, explore the world behind art at Queen Victoria Museum & Art Gallery, take in the exciting artwork at Deloraine Creative Studios, and see the interesting displays at National Automobile Museum of Tasmania. For maps, more things to do, where to stay, and tourist information, go to the Launceston trip maker app . Traveling by flight from Sydney to Launceston takes 5 hours. Alternatively, you can do a combination of flight and bus; or do a combination of train, ferry, and bus. Traveling from Sydney in May, things will get little chillier in Launceston: highs are around 16°C and lows about 5°C. Finish your sightseeing early on the 6th (Mon) to allow enough time to drive back home.